I have just completed a book with a friend of mine called Jonathan. 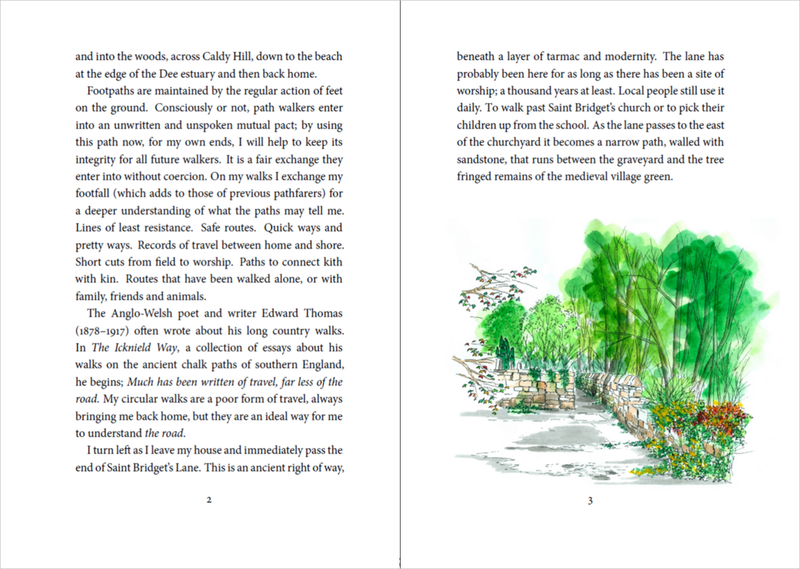 We had both read Holloway by Robert Macfarlane, Dan Richards and Stanley Holloway during last year and over a meal last December set ourselves the target of writing and printing our own short illustrated book. I had already been writing a short personal essay on a circular walk that I had been doing for about 15 years and everything that I thought about and experienced on the walk. Prompted by my descriptions and the locations themselves, Jonathan went off and created about 15 pen and ink / watercolour illustrations for the essay. The title of the essay is a line from the poem Careless by George Sterling (1869-1926), which was first published in the August 1921 edition of The Bookman. Sterling was an American poet and playwright who founded an artists colony in Carmel, on the Monterey peninsula in California. His friends called him the ‘uncrowned King of Bohemia’. Below is the front cover, illustrated by Jonathan. I designed the book and typeset the text using LATEX. A typical two-page spread is below. 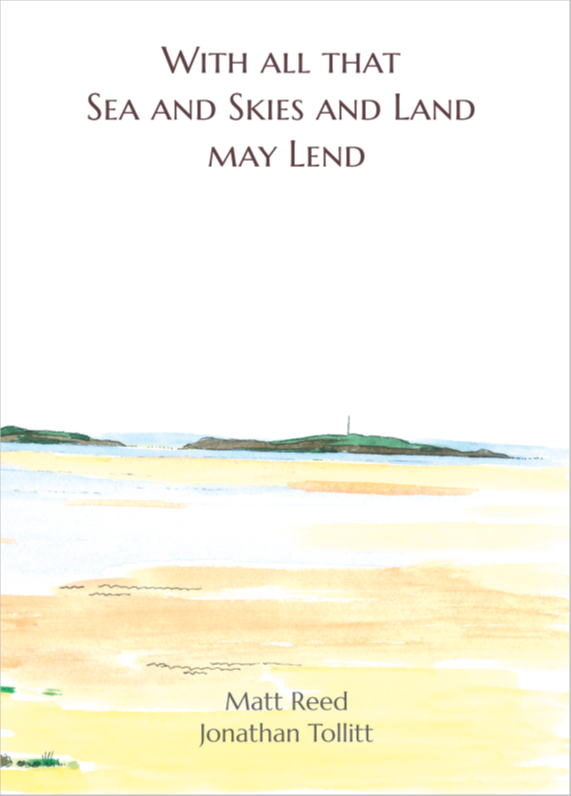 I have just had a short-run of the books digitally printed and bound by Imprint Digital in Devon. Some of the books will be given out this year as Xmas gifts, who knows, some may even be sold.